The story begins in 2007, when Deborah Campbell travels undercover to Damascus to report on the exodus of Iraqis into Syria, following the overthrow of Saddam Hussein. There she meets and hires Ahlam, a refugee working as a "fixer" - providing Western media with trustworthy information and contacts to help get the news out. Ahlam has fled her home in Iraq after being kidnapped while running a humanitarian center. She supports her husband and two children while working to set up a makeshift school for displaced girls. Strong and charismatic, she has become an unofficial leader of the refugee community. Campbell is inspired by Ahlam's determination to create something good amid so much suffering, and the two women become close friends. But one morning, Ahlam is seized from her home in front of Campbell's eyes. Haunted by the prospect that their work together has led to her friend's arrest, Campbell spends the months that follow desperately trying to find Ahlam - all the while fearing she could be next. The compelling story of two women caught up in the shadowy politics behind today's most searing conflict, A Disappearance in Damascus reminds us of the courage of those who risk their lives to bring us the world's news. ALONG THE TWO-LANE HIGHWAY from Syria's capital city of Damascus, where it approaches the border with Iraq, anti-aircraft batteries scanned the dome of noonday sky. Here and there an army tank rumbled over hot sand along a barren landscape that looked like the surface of Mars. Next to the highway, a crop of bored young Syrian soldiers slouched on boulders around a commander making diagrams on a chalkboard propped up against another boulder. Campbell deftly describes the human cost of war and the repercussions of disastrous policies in Iraq. Her descriptions of Syria are all the more poignant since we know of the destruction that would unfold as a result of the country's civil war a few years later. At times, however, it feels like she justifies her presence in Syria and her use of fixers like Ahlam a little too vehemently, and the account of her unraveling relationship with her boyfriend in the U.S. seems out of place. A Disappearance in Damascus is a timely account of the destruction wrought by political failures from governments in both the West and the East. Perhaps most important, it's a reminder of our common humanity and the ability of people everywhere to persevere and overcome. (Reviewed by Rose Rankin). Campbell gives us a remarkably intimate look at the everyday life of people whose lives have been upended…. This important book opens our eyes to the lives of the people who are trying to find peace in a world of chaos. Riveting and devastating…. [Campbell] has produced one of the more harrowing accounts of life inside a police state in recent memory. The author's devotion to her friend will open hearts as Campbell and Ahlam's family try every option to gain her freedom. 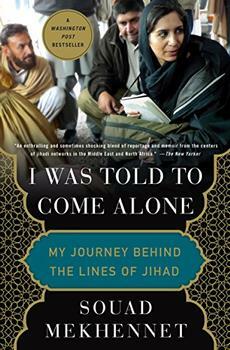 Campbell's work is an informed, fascinating account of one courageous source. Starred Review. In the stormwater's swirl, Campbell has found a bright and tender leaf to follow, and the effect on readers will be transformative. Compelling...A bold snapshot of the Assad regime prior to the start of the war, and will give readers an idea of why so many have fought to be rid of that dictator. Paced like a good novel...A Disappearance in Damascus is vivid, provocative and timely...While institutional efforts may improve protection for fixers, A Disappearance in Damascus illustrates how individual conscience and courage may also be necessary to confront the dangers of bringing news from hot spots around the world. A Disappearance in Damascus is an absorbing testament to how successful that approach can be when undertaken by a sympathetic, informed, and committed investigator. It offers a detailed, personal look at the consequences of disruptive global events on the individuals most affected by them. 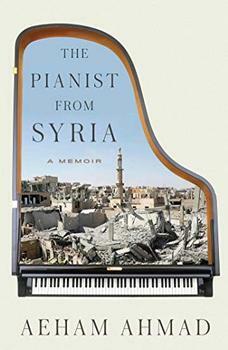 A vivid portrait...A must-read for people wanting to further their understanding of the Syrian civil war and refugee crisis, and about the deep ramifications that the Iraq war had on the rest of the Middle East. Especially now that the worst-case scenario that many Syrians have feared has come to pass, the book is essential to understanding the circumstances that societies lived with before their countries fell into chaos. Riveting...Campbell's book weaves the global into the utmost personal - a story of friendship flowering, then frighteningly uprooted...Campbell's urgency to find and free Ahlam drives a narrative laced with reflections on friendship, duty, imperialism and love strained by ambition...This book took a long time to write - and clearly the results were worth the wait! In this compelling, moving book, Deborah Campbell unearths so much of what could have disappeared in Damascus...This is a book about the power of friendship between women, about raw courage, and the political and deeply personal devastations of war. When looking back on the Iraq War, many American policy decisions stand out for their shortcomings, such as de-Baathification, which removed all experienced civil servants from government in one stroke; and disbanding the army, thereby leaving thousands of trained soldiers out of work and on the street. Another example, while less deadly, was materially and morally shattering: the failure to guard the National Museum of Iraq in the immediate aftermath of combat operations.